A couple weekends ago the big day finally came for these two, who got married at the Potapsco Female Institute—an incredibly unique wedding venue in Ellicott City, built inside historic ruins at the top of the hill. The photos are coming along nicely, we even posted some previews on Facebook earlier this week, but that’s not what we’re talking about today. A few weeks before the wedding day, Felipe and I met up with these two for an engagement session, which was admittedly happening late in the game. However, the purpose of the session was not to have some pretty pictures for save the dates or invitations or something, although there would have been some really nice ones if that’s what they had wanted. The purpose was to spend some time together and get comfortable with each other’s style. The session went great, wandering the streets of Ellicott City to create these images. Given how close to the wedding day we were by this point, we also used the opportunity to discuss our plans for the first look and fill in some final details for the wedding day plan. I can’t wait to share some more of the images from the wedding! 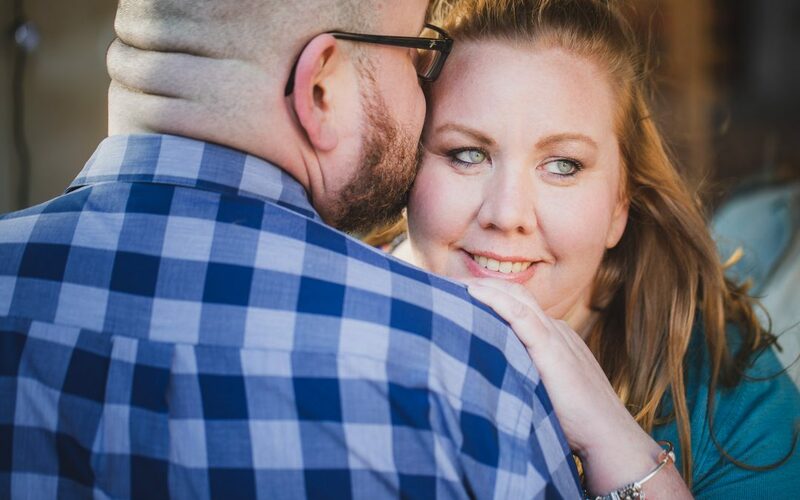 But in the mean time, check out some of our favorites from the engagement session below. If you’re planning a wedding, or looking to capture photos with you and your significant other, check out the Portraits Page here on our website for more details! We’d love to work with you!